Even hard to buy for family, friends, and dog owners like personalized gifts. 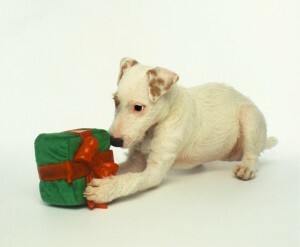 And, what could be more personalized that gifts for those who have a special bond with their pet? 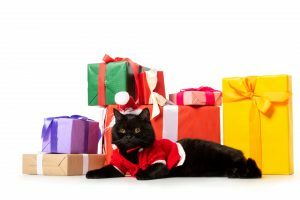 Gift cards to their favorite pet store is always a good go to when it comes to gift giving; however I think we can help you find a gift that might be enjoyed a bit more by your favorite pet owner who has the perfect dog (or cat). Homemade Gifts can make great gifts and save you money all while showing how much you care about the gift recipient and his/her pet. 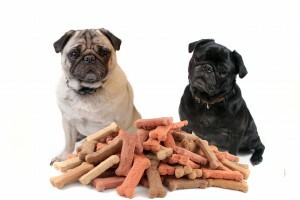 In today’s day and age, many people make their owner dog food which can be a tasty treat. Why not add some value to your friend’s best friend’s meal by adding some value to it? You can cook up some fresh chicken, beef, liver or even some select veggies to make his meal more palatable to him. Thankfully cooking large amounts of dog food can be easy. All you need is an oven or a slow cooker to add value to the dog’s meal. And, the nice thing is that pets don’t need added spices, salt or any additives. Salt, garlic and onions can actually be toxic to pets! Stick with whole foods and no seasonings to make it best. Everyone likes treats, cookies or “snacks” as I like to call them. Homemade dog treats can also be a fun holiday gift idea for any holiday, and make a great gift! All pet owner like a well thought out personalized gift that they can share with their best four-legged friend. As you can clearly see, homemade dog treats can be a great way to save a little “dough” while adding a personalized touch to your gift giving, this holiday season. It is pretty easy to make a dog toy that your best friend’s adorable dog will love! Not only will this save you some cold hard cash, you can personalize some of these gifts by adding the dog’s name or countenance. Grab a few tennis balls from your local sporting store, cut holes in the middle and thread them on a large piece of rope or a small piece of rope (dependent on the size of the dog owner’s dog). Dogs love both tennis balls and rope toys so this can be a win-win for the dog and something that not all dogs have at their disposal. Want something DIY dog and machine washable? Grab some fleece or felt scraps and braid them together. Tightly braided, colorful felt can make great tug toys and will also please the eye. Want to customize it? Add the dog’s name to make it extra special. Life is short and the life of the average pet, is unfortunately shorter. Get your friends and family gifts that can be personalized with their pet’s face or countenance. There are lots of things you can do yourself if you are crafty. I, personally, spent my high school and younger years drawing and selling pet portraits. I used to have quite the booming business, until I realized I wanted to get out of the house to work with people. Staying inside working at home all day, every day wasn’t great for my psyche! But, I still occasionally find time to draw my friends and family’s pets for them. It is cheap, only requires a piece of high quality paper and some pens or pencils. If I want to take it to the next level I can even get it framed for presentation. Even if you aren’t the budding artist you can do some great “make it yourself” adorable dog, dog themed, high quality gifts! Sneak a fun photo of the chosen furry pet or group of pets. These can make great gifts of cat owners too, by the way! Photos can now easily be transferred to almost any kind of cloth material. Do you have a friend that loves quirky T-shirts, socks, underwear, or totes? It is fairly simple to buy the materials, print the photo and iron on the image to the chosen gift item. And, the good news is that today’s “iron on” prints are of much higher quality than years ago. Most have vibrant colors and print and transfer easily! Like painting, but maybe you aren’t going to be nominated for painting of the year? Have fun with it! Get the supplies and give it a try. A gift made with love is far better to most than a gift card or something that had no deep meaning. Wine nights and painting nights have become the new craze all over the country! Why not grab your other best friend and try your hand at some relaxing painting while sipping some amazing wine. I think this is a win, win idea! Ceramics are another fun gift idea! I don’t know any self respecting pet owner who wouldn’t enjoy another doggy or kitty cookie jar. Ceramics classes are another great idea to bond with your favorite people while crafting the perfect holiday, wedding, mother’s day, or any reason gift! Know a coffee, tea, or hot chocolate lover? Why not make them a new coffee mug with some adorably placed paw prints and their pet’s names. These can also make great house warming gifts. I love, love, love to braid leashes. All you need is a clip and some strips of leather and you can search online how to make dog leashes. I love a good homemade, soft, dog leash. I must admit, I am not a big fan of jewelry, which is not like most women! But I LOVE jewelry that has pictures or likenesses of my dogs (and cats). 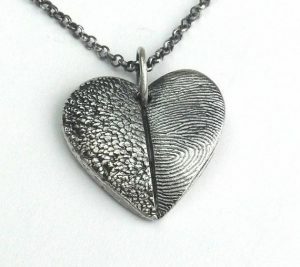 One of my favorite pieces is a necklace and pendant that was made from the actual impression from my actual dog’s nose! I also like some of the dog breed specific gold and silver sterling pendants I have collected over the years. Check out this artist https://efsterling.com/pages/dog-charms-and-jewelry-by-breed or search through hundreds that might better fit your needs listed on google, amazon, or Etsy! You can also get several artists to customize actual pictures of the exact pet! These are definitely fun but high end holiday or just regular gift ideas. I wouldn’t care if it was Mother’s Day, Wedding Gift, or sympathy after a dog died or losing a pet. This wonderful gift idea will stun its recipient, bring a smile and last a lifetime. Another one of my personal favorites are quilts and blankets that have been customized to the pet. A few years ago my family compiled a group of photos from the year that included my dog and their kids throughout the year and experiences we had shared together and put them on a nice fleece blanket. It was one of those moments that make you want to cry because the sentiment was so very heartfelt. I cherish that blanket and have it hung up on the wall in my bedroom. It is a constant reminder of good times shared with family member and the bond they have with my furry best friend. These picture blankets can be found offered around the internet. Walmart photo, collage dot com, and Shutterfly are just a few who can offer high quality, well executed picture blankets. I also like to compete in dog sports and in many dog sports the item you win, when you place first, second or third, or if you qualify; is a ribbon. I probably have close to 100 ribbons around my house. Many are displayed, but many get pushed into drawers or filed or even crinkled. Years, ago when I was working for a friend at her doggy day care and taking agility classes (she was also a competitor in many dog sports, especially agility) I noticed she had a home made quilt full of ribbons that she and her dog had won, over the years. I have had envy of this quilt since and continue to have aspirations to have my own made one day. It will totally declutter the home of your favorite doggy sport competitor and it is a cherished, customized gift. And, even though most of us are crazy competitors, I am guessing most of us also won’t notice if a few special ribbons go missing to make this one of a kind item. Or, if you are a quilter I see a fun hobby in your future! Ahhhhh yes, the crazy cat lovers! Actually, I certainly am one! I have often recognized myself as more cat lover than dog lover, (don’t worry I love them both) but you can’t really make a good living training domestic cats! Thankfully, I have had the opportunity to work with big cats and cheetahs, but again, it is slightly more difficult making a living this way. But, long story short, I LOVE cats! Ironically, even though the numbers of pet ownership fall on the side of dog owners, the ability to find cat related items are probably 3 times as easy. I suppose it is because the average cat owner is easily pleased by “any” cat, while many times dog owners are seeking specific breeds. And, trust me, as a Dutch Shepherd owner it is nearly impossible for me to find great dog breed related items. But it is pretty simple to find big orange cats or even cartoon cats that will bring a smile. Meowington’s is one of my favorite websites. You can decide if you want to buy the cat a gift, buy the cat lover a gift, or even choose from wonderful gifts that are under $10! https://www.meowingtons.com/collections/gift-guide?gclid=Cj0KCQiA28nfBRCDARIsANc5BFCVP2Q1BLHy4JzdcU67732Ii5wzHQOTPNKN58sp9EglwSFv5gX7erQaAsTfEALw_wcB They also have great customer service. Uncommon Goods, and etsy also have great cat holiday or anytime gift ideas. I have a good friend, who is also a veterinary technician where I work and she has 12 cats. Don’t worry, she has a spacious house, makes sure they are all vetted, and cleans up after them at least twice a day. I love going on websites and finding her interesting items like: cat coloring books, cat wine stoppers, and cat light guards. After all anything CAT is more fun! Let’s face it, the sky is the limit for your favorite pet owner, just put a little thought and love into your gift and your friend will adore you forever. Don’t forget to share this with your dog lover friends so they can pick their faves! !